Real Madrid’s midfield maestro Luka Modric has been named the 2018 Best FIFA footballer of the year. The Croatia captain beat off competition from Egypt’s Mohammed Sallah and Portugal skipper Cristiano Ronaldo, to emerge winner of football’s topmost individual honour. It is the first time since Kaka in 2007 that the award has been won by a player other than joint 5 time winners Leo Messi and Cristiano Ronaldo. The award winner was decided by national team coaches and captains, select members of the media and online voting by fans. The award caps off a stellar year for Modric, after he led his country to the finals of the FIFA World Cup, being adjudged the best player of the mundial in the process. He was also an integral member of the Real Madrid team that won the UEFA Champions League trophy for a third time in a row last May. Mohammed Sallah, who was earlier this year crowned African player of the year in Accra, won the Puskas award for best goal of the year. 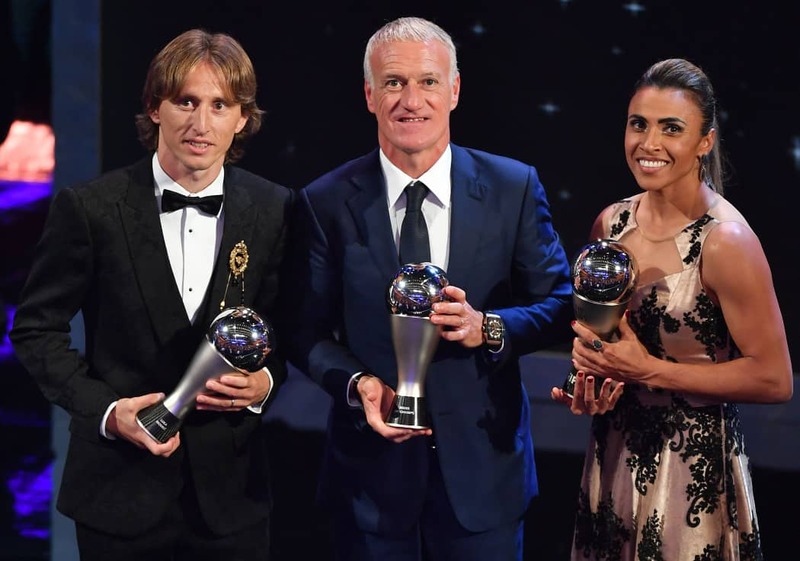 Brazilian legend Marta was named the Best Women’s player for a record sixth time, with France’s World Cup winning coach Didier Deschamps being adjudged the Best Men’s coach of the year. The PFAG continues to support all events which recognize the excellence and hard work of professional footballers; and extends its congratulations to all worthy winners!